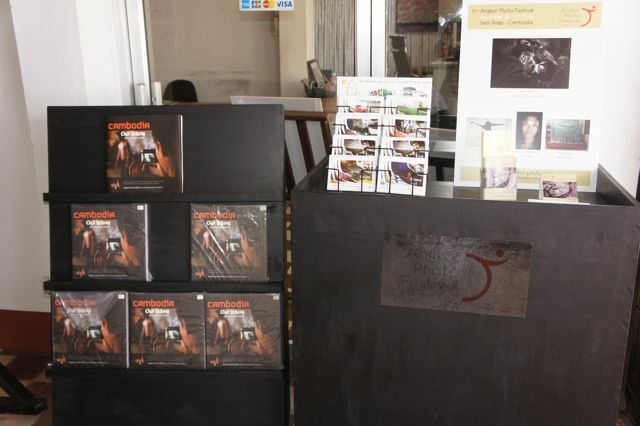 One of the highlights of this year’s Angkor Photo Festival is the official launch of the beautifully executed photo book “Cambodia – Our Vision” from the kids at Anjali House. Anjali provides refuge, care and education for nearly 80 under-privileged children between the ages of 4 and 16 years old. I have always been a strong believer in the curative and developmental power of art, creativity and imagination for anyone but especially for children. Seeing the world through children’s eyes is always a fascinating journey and these photographs from the Anjali kids will not disappoint. They are powerful and emotive images of their lives. 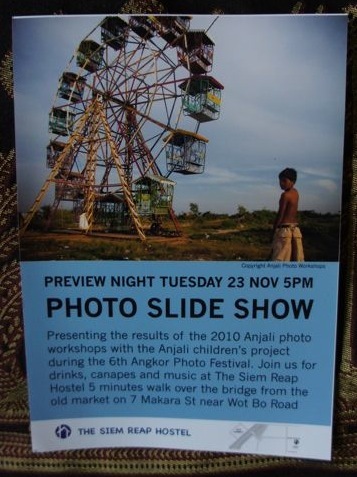 Check out Anjali’s website for more information or download Anjali House’s “Cambodia, Our Vision” – the brochure about the book. Anjali’s website has a great store section where you can order prints from the book, post card sets from the various young photographer’s and some other kit for yourself or vital stuff for the kids at the house. youngsters this morning at the Blue Pumpkin Cafe here in Siem Reap. What a great bunch of kids who have come so far from such difficult circumstances. They deserve your support. If you are in town from November 20 – 27 check out all the great stuff, including the Anjali book, at this year’s Angkor Photo Festival. If you can’t be there, check out the Anjali stuff and maybe order something for yourself, for some lucky child in your life or help out the house itself in fulfilling its mission. You’ll be glad you did! ~ by Leonard on November 16, 2010.